The southern live oak has a deep tap-root that anchors it when young and eventually develops into an extensive and widespread root system. This, along with its low center of gravity and other factors, makes the southern live oak extremely resistant to strong sustained winds, such as those seen in hurricanes. Although live oaks retain their leaves nearly year-round, they are not true evergreens. Live oaks drop their leaves immediately before new leaves emerge in the spring. 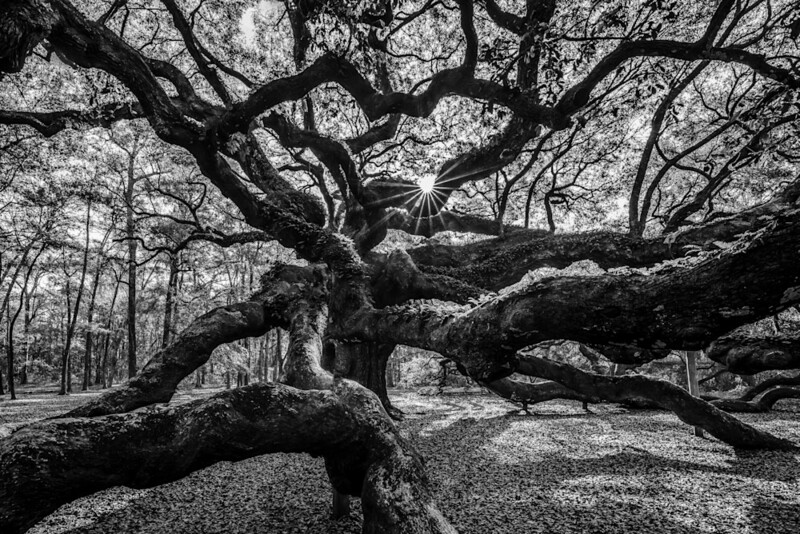 Knowing that these trees are not what they appear to be, having a live oak art print or photograph hanging on a wall can often make the viewer intrigued.